I have been listening to many different podcasts on line lately. 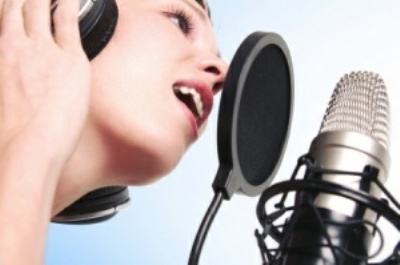 Some are produced by broadcasters with access to radio station studio facilities and some are produced by amateurs with a USB microphone connected to a computer. In all cases, the new sound cloud technology has made it simple to distribute their ramblings. Podcasts are like mini radio talk shows, but without phone calls from the listening audience. They can be a powerful and effective communications tool, adding quality content to your website while offering your followers another way to stay connected with you. Done poorly, they are little more than the uninformed ramblings of yet another self-ordained expert. There are certain unfortunate truths about today’s marketing and content worlds. A Facebook profile and tweeting what you had for breakfast does not make you a social media expert. A $200 movie camera from Walmart does not make you a professional videographer. A computer with word processing does not make you a writer. Ownership of a microphone and the required recording/editing software does not make you a compelling communicator. Not everyone with a briefcase is a consultant. I think I’ve now heard it all. Let’s begin with technique. Bad acoustics result in a hollow sound. There are inexpensive acoustic devices on the market that clamp to a microphone stand. The sound of your podcast will instantly improve. Invest in a pop screen. It’s one of those round things you see in pictures of singers in a recording studio. (see picture) They are designed to stop you from “popping” your “p’s”. Learn proper mike placement. Get closer and don’t talk so loud. Usually if you speak across the surface of the microphone it’s better than directly into it. A loud voice is not natural for conversation. Take care not to move the microphone cable while recording. It can make an awful noise. If you have the benefit of a recording meter to monitor volume, be sure you aren’t in the hot zone causing distortion or in the too quiet zone making it impossible to hear. Preparation and research are not negotiable. Know your topic. If facts are vital to the story, then research the facts. If you plan on interviewing the author of a new book on marketing, read the damn book. If you want to tell an anecdote to make a point, write out and edit your anecdote. Having a plan for each podcast is also essential. Most everything we do in life has a beginning, a middle and an end. It doesn’t matter if it’s meant to be five minutes, 15 minutes or a half hour. How will you start? What points will you use to develop the story? What opinions and perspective will you offer your listeners? How will you end it? A plan or show map will help keep you from wandering into the boring and needlessly long. When more than one voice is heard in an interview setting or round-table discussion, there is a critical rule to follow. Introduce the participants at the front and then every two to three minutes until it’s over, quickly re-introduce the voices so that we as listeners know who is talking. Avoid stupid sounding platitudes. 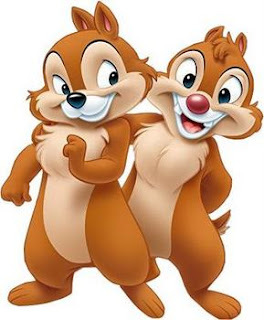 I call this affliction, the Chip ‘N Dale syndrome. How are you, I am fine, how’s the weather, happy to be here….in other words a whole bunch of “who cares”! Focus on your listener. What do they want to know? What will inform and entertain them? It’s easy if you are willing to do the work. Compelling shows or podcasts don’t happen by accident. Research and preparation, a show map and attention to technical issues will result in a more interesting product. You don’t have to be a broadcast professional. Here are some approaches that work. Explain it - Pick a topic from your area of expertise, one of the frequently asked questions from your clients or fans. Research it and in non-technical language, tell me what it’s all about. The interview - Interesting people with expertise and experience within your topic zone. Sit them down and record them interacting with you through a set of questions designed to provide your audience with useful information. The round-table discussion - Three people with researched but varied opinions, discussing a common topic. There's a whole world of people looking for things to see, hear and read on line. They search by topic and they don't care where you live, only if you are interesting. To get found by potential fans you must also pay attention to tag words, content titles and descriptions. Build it and they will come. Podcasters prove it every day. Only the good ones earn a following.